Scientist Stephen Hawking To Boycott Israeli Conference : The Two-Way The physicist said his decision as based on the advice of his Palestinian contacts. Hawking is one of the most prominent figures to join the academic boycott of the Jewish state. His decision has been criticized and labeled hypocritical. British cosmologist Stephen Hawking gives a talk to workers at Cedars-Sinai Medical Center in Los Angeles on April 9. British physicist Stephen Hawking has stepped into a political black hole. "Hawking, 71, the world-renowned theoretical physicist and former Lucasian Professor of Mathematics at the University of Cambridge, had accepted an invitation to headline the fifth annual president's conference, Facing Tomorrow, in June, which features major international personalities, attracts thousands of participants and this year will celebrate Peres's 90th birthday." Israeli President Shimon Peres is hosting the conference. The British Committee for the Universities of Palestine confirmed that Hawking's decision not to go to Israel was "based upon his knowledge of Palestine, and on the unanimous advice of his own academic contacts there." Hawking's office verified the group's account on Wednesday. The scientist said that he'd planned to make a speech criticizing Israeli policies toward the Palestinians. The conference organizers criticized his decision. "The academic boycott against Israel is in our view outrageous and improper, certainly for someone for whom the spirit of liberty lies at the basis of his human and academic mission," conference Chairman Israel Maimon said in a statement, according to the BBC. Indeed, as the Guardian reports, supporters of Israel have accused Hawking of hypocrisy. 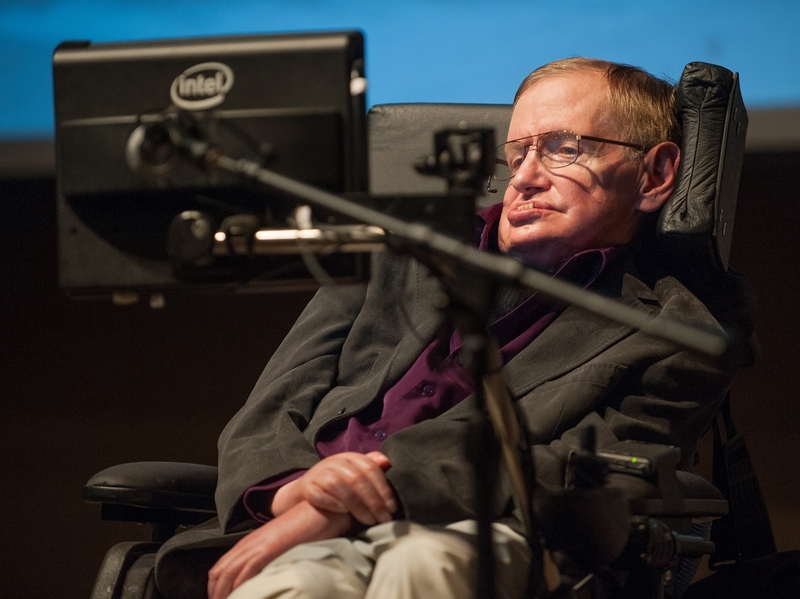 The celebrated scientist suffers from motor neuron disease and uses a computer-based system to communicate. That system uses Israeli technology. "It has had some success, deterring a string of famous entertainers from performing. Elvis Costello and the Pixies canceled concerts, as well as the British dance band Klaxon and the Gorillaz Sound System. Israel has also faced occasional boycotts of its academics, unions and in some cases commercial products."